You might remember that Europe got the first two Commodore 64 games two weeks ago. Well, this week two more games join them. But that's not all, because the Sega Master System also arrives, and also brings two games with it! Blow your mind in a Fantasy Zone! As a new console is arguably more important, we'll list the Master System's games first - Fantasy Zone is a rather colourful shooter from Sega themselves. The game is unique in that you can fly both left and right at any time you wish, there is no autoscrolling. The game has quite a cult following and was later followed by some sequels, one of which is also comng to VC. We're not so enthusiastic about Wonder Boy. It's a good game, but it was eventually reworked and rereleased on the NES as Adventure Island, which, surprise surprise, is already on VC. If you waited with buying that, however, then now you can buy the original game, if you prefer. There's not much differences between the two. The Commodore 64's also got two new games, both of them also cult classics. 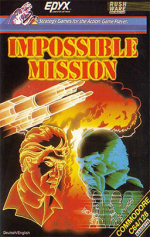 Impossible Mission was recently rereleased on the DS and Wii, but this original version holds a place in the heart of many people. Aside from the addictive gameplay if featured some neat digitized spoken lines - The most well-known one being, of course, "Stay a while... Stay forever!" 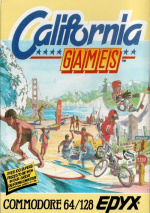 California Games is a collection of sports that are generally considered popular in California, such as skateboarding and surfing. It's arguably the nicest-looking game for the system released on VC so far, as its graphics come very close to NES quality. The game is also quite loved by many. Four new games in one week? Surely Nintendo's gone insane, what with Mario Kart Wii being out today! Very nice week for EU VC. This is not a dream, is it?! *Hooray*! Even so I wonder- Impossible mission just got a rebirth on DS, right? Does that mean that recent or soon to come remakes are no longer going to block VC releases? All I can say is, I hope this means a big list of games for the US coming up, too. Just downloaded impossible mission and california games!! brilliant!! Destroy him my robots! FOUR games? And not all "bad ones*?" And Europe gets both the Master System and Commodore 64 while US gets the Master System only? Impossible...Impossible Mission! =P This sure makes up for Yoshi's Cookie only last week. Too bad I'm not in Europe. XD Maybe US will get something good like this? i'm expecting the u.s. will get the commodore 64 soon. maybe even this monday. thank god. New Zealand got master system today. still no C64 though. I remember playijng california games at my friends when i was little, so im **** not to get that. All right, EU, now can we stop hearing your whining? No offence, but I've run out of sympathy at this point. Not a bad week for Europe, hey MrDrake! Thats 2 out of 3 weeks that Europe has got 3 games or more! Catching up with us! However, it would be nice if all the regions had as many VC games as Japan (even though Nintendo is founded in Japan). Still a while of till we see any c64 games on vc here in australia but both games you europeans get are also on the c64dtv i got here . That's a good week if you ask me. About time mind. Sweet! Why are SMS games 500 points? Wow, I'm stunned by these releases! Have just downloaded Impossible Mission and California Games, wonderful stuff! Nothing like the Master System to give you that nostalgic feeling. Shame we still don't have C64 games here in OZ. Will Nintendo now release these Master System games few and far between, as we have seen with the Neo Geo games? Let's hope not. It's kinda disappointing that Australia STILL doesn't have C64 games... but we can still change our regions once we've run out of points, right? Edit: Ha! Nintendo didn't even bother changing one of their welcome messages for Australia: "Following hot on the heels of Commodore 64's Virtual Console debut..." Pathetic. Even if IM comes to the US I won't be interested. I already bought the DS version (for only five bucks more), in which you can choose to play the original or the updated version - or a funky mix of both, which I found to be quite strange. Awesome. I'm interested in downloading at least 3 of them. 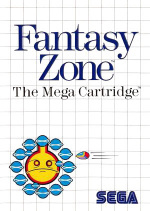 Not that sure about Fantasy Zone but the others are true classics imo. "Sweet! Why are SMS games 500 points?" Yeah, why shouldn't MS games be 500pts? They're technically superior to NES games, after all. The C64 games are both excellent. Picked 'em both up. What a week, even though I'm not particularly interested in any. Mario Kart Wii today anyway! I don't mind though, as getting 4 weeks is great on a whole, and perhaps NoE will go back to their 3 or 4 games per week. "All right, EU, now can we stop hearing your whining? No offence, but I've run out of sympathy at this point." As long as I can stop hearing whining from the US about paying $50 for new Wii games. There's loads of countries that would like to be able to get games that cheap, the UK being one of them. California games is another very nice addition. Please release good games and not 50hz turds. Where are the turbographics games that came out in Japan. I think that they should be releasing 5 games per format a week. ^ 5 games per format each week? Well, that is really a bit overdone, don't you think? Anyway, glad we're back up to speed, although it probably won't last till the next. Still, it's weird, one big Wii release and four average to good VC releases on one day? @sammy: Don't bite the hand that feeds you. Four games from two new VC systems is good news in my book. Leave the complaining for the weeks we get one crappy NES game please. Let's hope this is the beginning of a new trend. California Games is worth 500 points just to play the original C64 version without having to suffer the crippling multiload system! Great stuff... World Games next please, I beg you! My brother was talking about California Games yesterday. He will be very happy when he hear this. Fantasy Zone is also a nice game, great week. The life span of the machine is only a few years. so I hope they release more than 4 a week. That would end in 416 games in two years accross 7 systems. Will i neve forgive Nintendo for the past few wees as there is nothing to forgive . Good to see new systems, although Nintendo Australia are very lazy about no C64 games, does anyone know why Australia isn't getting any? Anyone? But forget that!! California Games!!!! Very good week for VC - but of all the weeks! Mario Kart's out today! Holy smokes, 4 games?! Either this means Nintendo is finally ramping up releases or Europe is getting NOTHING next week. This is especially surprising because Mario Kart was released today as well. Hopefully Nintendo will be as generous to North America this coming Monday. Hopefully Nintendo is kind Monday. Congratulations to the EU.... now can we finally have Vectorman on Monday please? Awesome just when i was about to give up hope in the VC. Not bad at all, I must say. But Mario Kart Wii will have all my time this weekend. This only makes me more excited to see what NA will be getting..
Three terrific games and one good plattformer! Very nice indeed. 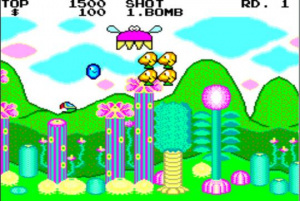 Fantasy Zone is one of the best MS games ever, Impossible Mission is dead hard but could be THE best C-64 game, and Califonia Games is way better than almost every minigame collection that´s been thrown at us! 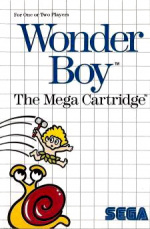 Wonderboy is probably the best Mario-style plattformer for MS, but there are better ones for SNES, MD and the rest. I hope the US gets the Commodore 64 considering the SMS was supposed to be OUR exclusive system. Please, Nintendo!? Make it happen! Master System was never going to be exclusive to NA, we just happened to get the first game first. As for us getting C64, I think it will happen, just probably not for a few months. 4 games and a big release in one week? whew... Here's hoping for Chrono Trigger on Monday . Yeah, I'm not sure the Master System was ever going to be exclusive in the US, a territory that largely ignored it the first time around. Wowzers its nice to see that Europe gets four games this week. After all those weeks that they got one game. Congrats Europe on the release of the Sega Master System and four games this week =). Hopefully North America will also see a nice release of games this week. I assume the US will get at least one C64 the upcoming monday. Amazing, finally someone has heard my cries. If they keep 3-4 games a week up I will never ever complain again. Good, Nintendo have decided to go beck to giving us 3-4 games. Lets hope it stays that way! You guys are so lucky! Not only do you get 4 new games, but you also get a new system. Hopefully, the same will happen to North America.